The mash-up between Dunkin’ and Saucony is back for a second year. Last year, the iconic food and shoe brands teamed up to release a limited release shoe bearing a lot of sprinkles, retailing for $110. This year, they promise to create an even bigger splash after selling out within hours in 2018. The deal goes into year two taking the award winning Saucony Kinvara 10 body and design and attaching a classic Dunkin’ pink and orange palette as well as strawberry-frosted donut medallions on the laces, a coffee cup-covered tongue and reflective “Boston” emblazoned on the heel. 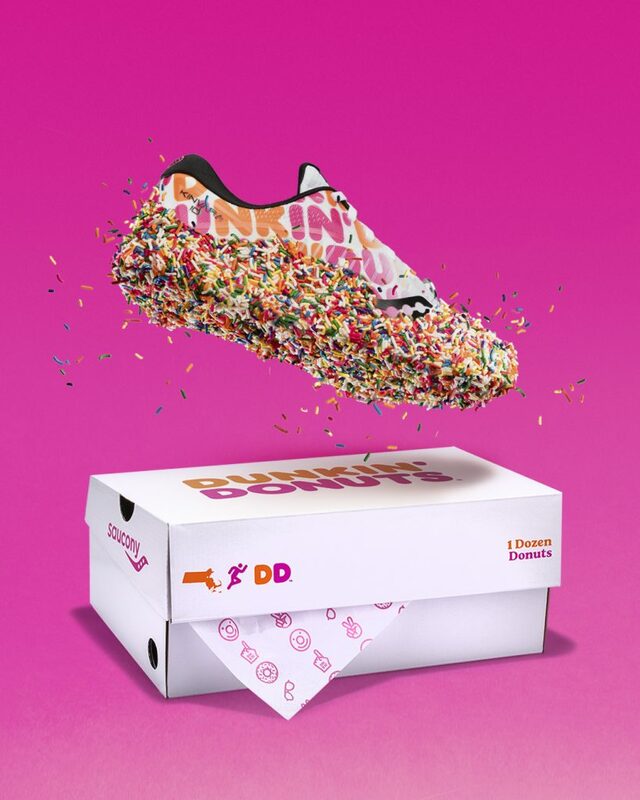 One of the coolest features included in purchasing the shoes is the inclusion of a custom Dunkin’ Donut inspired box. As was the case in 2018, the collaboration between Saucony and Dunkin’ is established in celebration of the Boston Marathon. The brands believe that these shoes, with snazzy design and all, can power any runner through the full 26.2 mile stretch. The sneakers go on sale today at Saucony.com for $120. A kids’ edition will also be available on the website for $65.